Albert Brooks’ comedy in this film dances, with dainty and brilliant precision, on beats both awkward and absurd; we cringe in wincing recognition, hoping not to catch a glimpse of ourselves at the corners of our clenched eyelids, at the same time that our cortexes snap and crackle in joyful wide-eyed recognition of the juxtapositions of ordinary and bizarre. So when his character embarks on a self-health regimen and is conned by a solid-stomached salesman, we grit our teeth to giggle at his easily-stoked delusions that jogging will alleviate his depression and guffaw at the gargantuan bottle of salt tablets he buys. 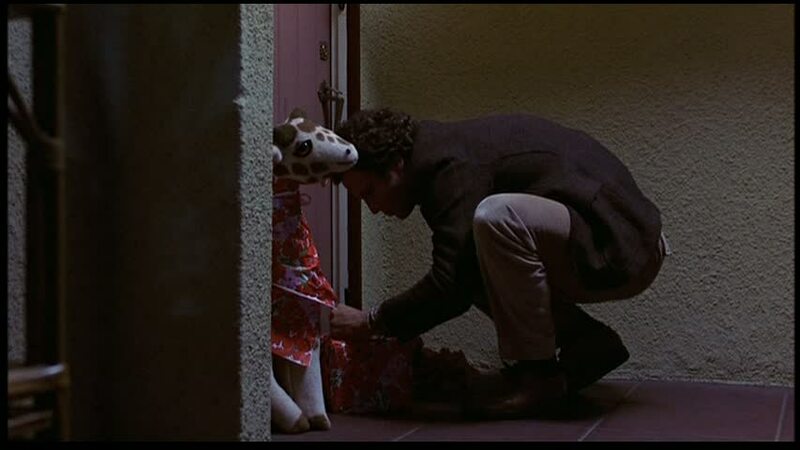 This entry was posted in Film and tagged 1980s, Albert Brooks, Modern Romance, USA. Bookmark the permalink.